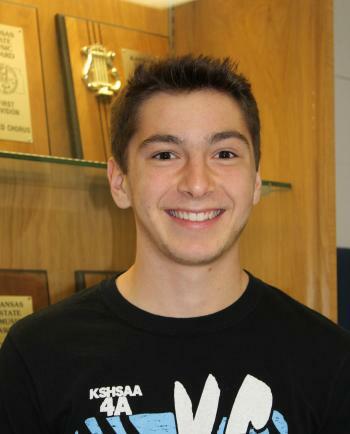 Senior Tyler Kueser was pretty excited when he heard he’d been selected to sing in a national honor choir at the American Choral Directors Association annual conference. “We were all really excited – all of us,” said Kueser who was with his mom and sister when he heard the news. For weeks he’d worked with CHS vocal music instructor Natalie Hamilton on his audition. It’s similar to an all-state choir but at a national level, Hamilton explained. Both high school and college students from across the country auditioned to be in this group. Hamilton attended a regional ACDA conference last year and was impressed with the passion and dedication of the student choirs. The students from across the Southwest had learned the music on their own, but at the conferences learned the “why behind each song, why it was written and the importance of the message. “Watching the guest clinician pull out nuances of sound and emotion from students is inspiring. Each and every student who is selected to be in the group is giving their best effort for the good of the ensemble,” Hamilton said. With the national ACDA conference in Kansas City this year, Hamilton asked two of her students about auditioning. “The audition process was more than I thought it would be,” Kueser admitted. The challenging part was the choral piece he was given to learn, a very old and difficult piece. Kueser didn’t know what to expect, how many people auditioned, and so he decided to hope for the best and prepare for the worst. “I wanted to make it in. I definitely was excited and nervous,” he said. In November, Hamilton received an email that one of her students had been selected, On Nov. 19, Kueser found he’d been chosen. “The overall feeling and sound that comes from a men's chorus or women's chorus is instantly different than a mixed ensemble,” she explained. “You can hear the voices blend naturally in a way that a mixed chorus must work very hard at (achieving). “I think an all-male choir sounds really, really cool, so I’m really excited about that,” Kueser agreed. The CHS senior will rehearse for several days with the choir before performing at the conference held from Feb. 27 to March 2. Kueser has been singing since elementary school. In middle and high school when he didn’t have to take music, he continued to enroll in music ensembles. All his sisters are involved in music as well. “I want to continue to sing in college. I want to keep singing as long as I can,” he said.